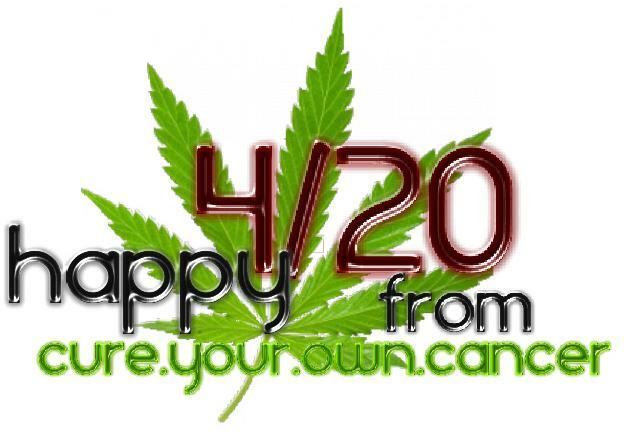 Happy 420!!! Here we are on the BIG DAY! Surely many of you have great plans for this Cannabis Holiday, and we hope to receive your video greetings (see the post made yesterday inviting you to send us a 420 greeting, which we will post in the Summit). We believe that today will be the BIGGEST 420 event ever! More people are aware of cannabis today than in past years thanks to all the awesome legalization events that have happened (such as Colorado & Washington), but also since this year the 20th of April happens to fall on a Saturday surely many more people will show up to public events, being a weekend. But even if you aren't going to any physical 420 event, here you are, celebrating it with us at the Cannabis World Summit! We are glad you're here. Go ahead & spark a bowl with us today - but only if you are legally allowed to do so ;-P and enjoy what we have for you below. First of all we have the featured video presentation courtesy of "Bad Kitty Smiles". Everyone has been looking forward to seeing it, and she's been working on it up to the last minute to get it done for you. Everyone who has seen her preview videos have just been blown away by what she is creating, and well, today is the big day to finally see it! Her video is the cherry on top of the Summit, and we are thrilled to be able to introduce her & her work to you. Next we have a ton, and I do mean a TON of stuff for you about Rick Simpson. He is regarded as the current leader of the Cannabis movement, having received the baton from Jack Herer upon his passing. Rick is of course famous for passionately helping thousands of people cure themselves of cancer with the Hemp Oil treatment he devised, but there is so much more to this great person. Having spoken with him for nearly 10 hours it is clear to me that this man is truly one of the most morally impeccable, with an outstanding integrity, and honorable human beings that I have ever had the pleasure of getting to know, let alone being called "brother" by. I should also mention that he is quite humble too, and surely he must be chuckling upon reading the above compliments. After listening to him then you will easily agree that we are blessed indeed to have the opportunity to learn from him. Below you'll find three articles about Rick, one of which has been created for you by the Cannabis World Summit, and the other two are courtesy of Weed World magazine. You may find Rick's video "Run From The Cure" below, which has nothing to do with the Summit, but we figured that it would be convenient for many people to have this all accessible here. But the jewel of the Summit is the epic interview with Rick Simpson. The recording is 5 and a half hours long!!! Oh, and no, it certainly isn't boring either, but rather is quite a fascinating talk with the big man himself. There is already a great amount of information about Rick, and be sure to read his book for the most mind blowing details, but for those of you who are big fans of Rick, or for those of you currently with Cancer, then surely you will love this amazing uncensored interview that discusses in depth many astounding things. "Bad Kitty Smiles" is the user name for this amazing woman who is a superbly valuable member of the GrassCity forums, where she shares "how to" information that you simply must know about to properly prepare your meds. She generously gives of herself truly helping many many sick people. When invited to be a speaker for the Summit she VOLUNTEERED instead to produce a video for all of you to learn her many secrets. Without a doubt, at this time at least, she is devoting the most time and energy of all the Summit participants to produce something that will be of immense value for you to watch at the Summit... for FREE!!! You really don't want to miss this. Why is she doing this? Because she really cares about YOU. Kitty has been working hard, very very hard, right up until the last minute getting these videos ready for you. We actually received them in the morning of 420 (April 20th), to provide them for you just in the knick of time. She has had tremendous life challenges recently, which I wont divulge here as it is personal for her, but I will simply say that knowing what shes gone through AND still having completed these videos for you is a testament to her passion, perseverance, and dedication to all of you. Just a few days ago I was expecting that she might have to abort, but am supremely impressed with her for pulling it off. After enjoying her videos PLEASE take a moment to post her a message expressing your love and gratitude to her on the "Bad Kitty Smiles Appreciation Thread". She is also in the process of producing a DVD, and she has written a fantastic book that will soon be published. Please send her an email to bks@marijuanaworldsummit.com asking her to be notified once they are released, if you are interested in getting a copy for yourself, or as a gift for someone else. You may also send her your person messages of gratitude through that email, but please post them publicly on the appreciation forum thread linked to above. Wouldn't it be amazing if you found a cure for cancer? Imagine how famous you'd be, the immense wealth you'd have, and all the loving adoration from the countless millions of people whose lives you've saved. Now realize that that fantasy would only be true in some alternate universe, because in this universe that we all live in the complete opposite is apparently the case. He has allegedly (we say "allegedly" for legal reasons because to proclaim that he cured cancer would just be a legal nightmare, despite his outstanding evidence that he produced for the Canadian courts, but use your brain to read between the lines) cured himself and a large amount of people from cancer and other illnesses using what he calls "Hemp Oil". Watch the documentary he produced titled "Run From The Cure", which shares his story and, and most importantly, reveals how to make the medicine. to an unfortunate technical problem, and even the second call had frequent call drops for some strange reason (spooky?). The second recording is shorter because we decided to skip some extra stuff we discussed the first time (fascinating, though technically not relevant), and also we were able to accelerate other parts of the discussions the second time around. For what it is worth, Rick's good character was clearly seen by his reaction to the technical problems we had to deal with, and his willingness to spend so much of his precious time to do these interviews in order to share this uncensored information with all of you. In the interview Rick shares his story with you, how he cured his own cancer & many others, how this oil may help many people, and then we delve, in depth, into discussions about making the healing oil. Many questions were asked, trying to anticipate questions that many of you would think of, and Rick answered them all - some of which were a bit surprising, and contrary to what I thought. There is just sooooo much incredible information in this call that it would be impossible to adequately summarize here. Simply put, the information Rick shares here is incredibly important for people to know. For what it is worth, it was during the first call with Rick that I had my personal epiphany that legalizing cannabis is the single most important political issue of our times, and after listening to Rick speak you too will quickly come to realize that this plant is a miracle just waiting for us to make full use of it. 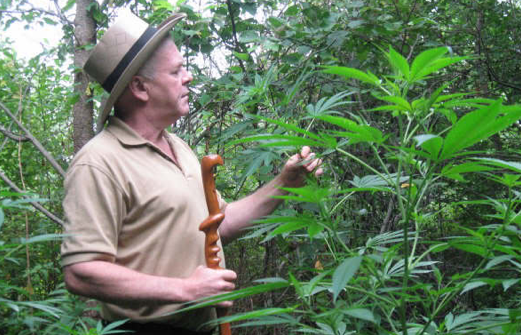 Read the article "Rick Simpson's Hemp Oil Strains"
In the interview with Rick Simpson he discusses what kinds of strains he looks for to produce his miraculous healing hemp oils with. This short article, which is meant to be read after the "Joy of Cannabis Collecting", provides a short list of potentially suitable strains for your consideration, but of photo-period (regular) and auto-flowering varieties. It also discusses the reasoning for using multiple strains to create the medicine with, and encourages everyone to collect the seeds to keep as a kind of insurance in case you or a loved one happens to get diagnosed with Cancer or some other serious illness that cannabis may help with, so that you have the seeds when your life may depend upon them. Weed World Magazine was kind enough to provide us with two historic articles they printed about Rick Simpson, with permission to share them with you here. 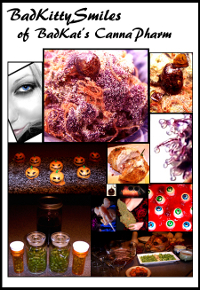 We are extremely grateful to Weed World Magazine for these PDFs for you to enjoy, and to learn from too. It also shows the high quality of their fine publication, and it would be worth considering getting a subscription. Also be sure to listen to the fascinating interview with the founder Phil Kilv on Day 4 of the Summit. Article 1 - Golden Drops That Heal - This is a rather historic article, as it is the first time that Rick's story had been published in a prominent Cannabis magazine. Weed World Magazine bravely printed this provocative article when other well known Cannabis magazines declined to print a word about Rick. In Rick's book you can find out more about the silliness that happened back then, and why this article is of historical significance. Article 2 - Judge Dready - Rick Simpson and the Cure for Cancer - This great article explains, step by step, the process of making Rick Simpson's Hemp Oil, exactly as he teaches. Rick also teaches how to make the oil in his video documentary "Run From The Cure", as well as in the huge interview being provided for you above. If you have cancer and are planning to make the oil yourself then please follow all precautions. Start by watching Rick's documentary, then read this article, and then listen to the long interview to hear Rick's replies to some questions about making the oil. Of course also buy Rick's book and visit his website for even more valuable insights & information. Bonus Video - Rick Simpson's "Run From The Cure"
Please watch Rick Simpson's documentary that explains how to make the healing Hemp Oil, and shares testimonials from people that have been helped by the oil. One more thing. Our good friend Lincoln Horsley has created an outstanding website for people with cancer. He has amalgamated a ton of information pertaining to how to cure yourself of cancer using cannabis, created some fantastic content himself, and links to all the great online web resources. If you, or a loved, are dealing with cancer then direct them here to this Summit page, to get all the great Rick Simpson information provided here, AND also direct them to the CureYourOwnCancer.org website for the quality information available there.